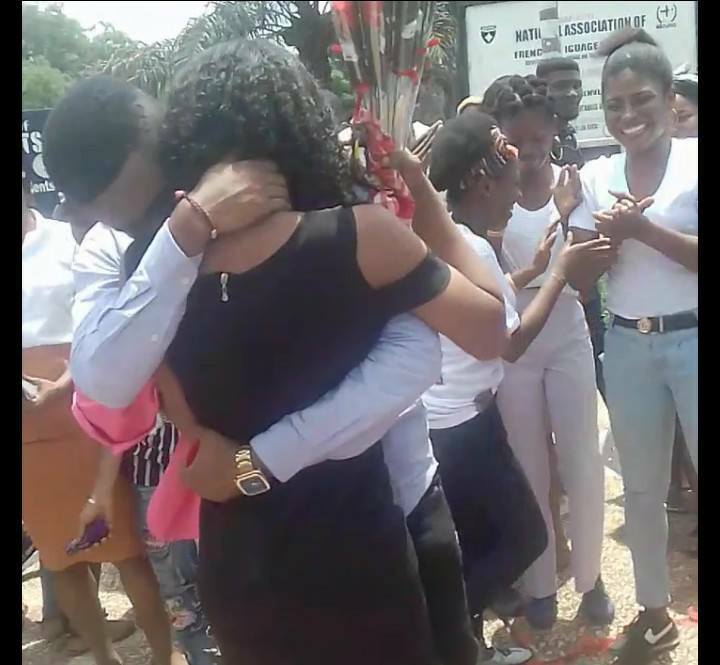 Photos have shown the moment a young man staged a surprise marriage proposal to his longtime girlfriend simply identified as Bridget in Abia State University (ABSU). 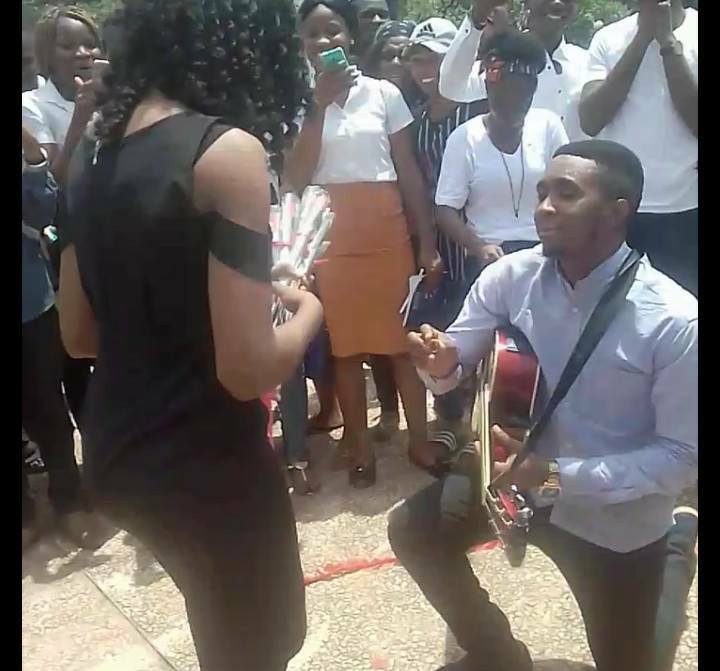 The man knelt down as he proposed to his lady inside the school while making use of a guitar as other students looked on. 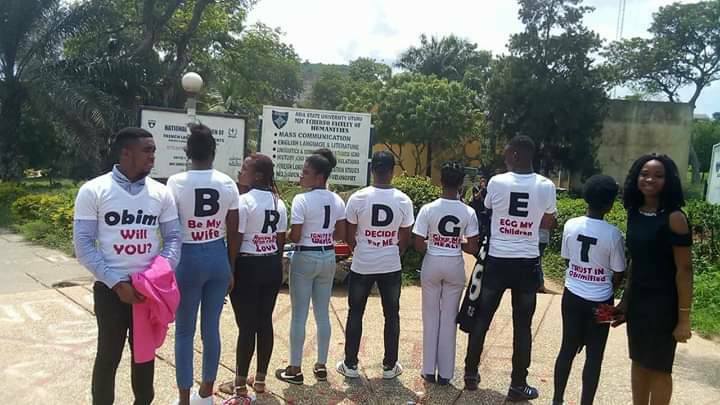 He made sure he designed customized shirts spelling his girlfriend's name and wrote out some sweet words asking her to be his wife. After the surprise proposal, the girlfriend accepted to her man’s delight.